Kanda has handled strategy, concept, design and development for dozens of mobile apps and mobile software components built on iOS (iPhone and iPad), Android, Blackberry and Windows Phone 7. The Kanda operating model – with top developers stationed around the world – delivers the company an advantage in mobile since many of these professionals hail from lands where mobile has leapfrogged wired communications platforms and penetration, usage and expectations are ahead of that seen in the U.S. This long-term experience with mobile provides the Kanda team an inherent advantage in terms of their understanding of best practices and real-world usage. Restaurants around the world are seeing the magic of the iPad. Now even if there’s no sommelier on staff, the restaurant can offer guests Personal Sommelier – a fun, easy-to-use app that helps customers pick a wine to complement their meal. All of which leads to satisfied customers – and higher total dollar value. Uptown Network’s mobile solutions are readily deployable, seamlessly integrated, scalable, and proven to empower staff and increase restaurant efficiency. The company also provides valuable business intelligence, mobile device management, real-time updates, social sharing, and support. With Uptown Network, restaurants can optimize and deploy from enterprise to region to individual restaurant! Instantly broadcast any Microsoft PowerPoint slide to any smartphone or tablet. The recipient can view the slide immediately – no emails, attachments or giant presentations to wade through. Now your mobile workforce is totally looped in, no matter where they’re off to. Sharpen your memory whenever you have a free moment or two. Evermatch creates a fun and functional memory game from the notes stored in your Evernote account. You adjust the level of difficulty to keep things interesting even as your ability to retain and summon memories improves. Now one of the leading VoIP services is available on your iPhone. No need to worry about being on WiFi – if you’re on your iPhone you can connect to Telphin and save up to 90% on international calls between Russia, Israel and the U.S. With Telphin, there’s no more need for calling cards – and no more unpleasant surprises in your monthly phone bill. 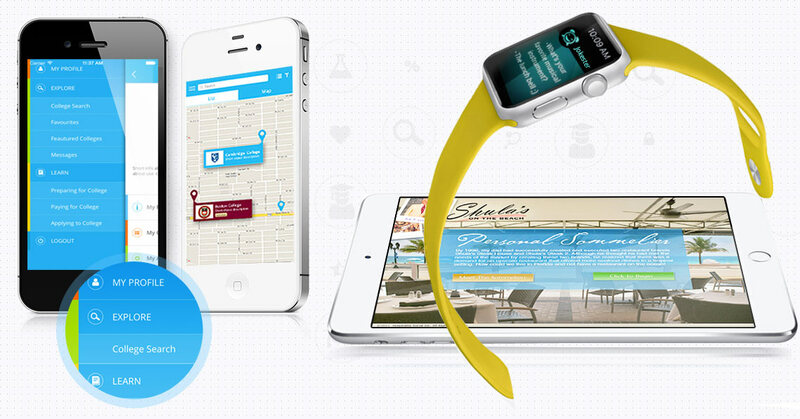 We excelled at developing cutting-edge iPhone and iPad applications that are tailored to suit client requirements. We have worked with industry specific solutions as well as customized apps for iPhone. Kanda iPhone software development teams are experts in a variety of areas including games, finance applications, telecom, educational applications and mobile solutions for the publishers. Kanda can help make your iPhone application idea a reality bringing expertise in design and best iPhone development practices to the table. Our deep knowledge of mobile security and cross-platform integration makes us a perfect partner if you are thinking about BYOD strategy implementation. Kanda has experience of working with a diverse clientele in Android application development ranging from aspiring entrepreneurs, early stage ventures to large enterprise enterprises. Kanda Android app development teams follow industry standards paired with agile processes, adopt best application development practices and proven methodologies. Utilizing myriad of Android development tools along with harnessing maximum potential of Android SDK, Kanda Android developers ensure successful completing of any project within client development timelines. 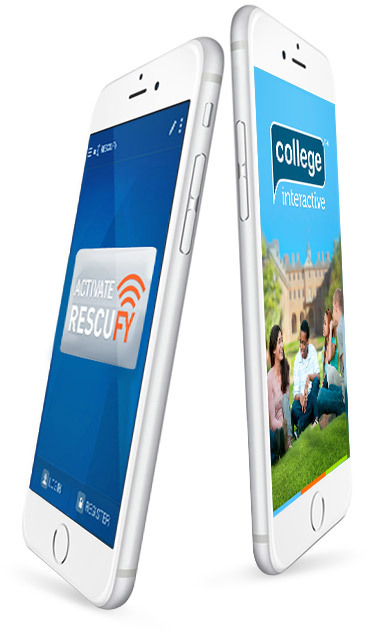 Rescufy is a mobile applications aimed to simplify the standard anaphylaxis action plan.With the touch of a button, Rescufy will send critical information including geo-location, medical condition, medical history, medications, and contact information to first responders and emergency contacts. It will also auto dial 911 with a voice recording of the same information should the user be impaired by his/her condition. Rescufy simplifies the process of notifying first responders and emergency contacts, compresses time, creates redundancy, offers peace of mind, and simplifies the action plan which in turn will saves lives! As UPenn’s development partner, Kanda has implemented the idea and functionality. Created functional prototype that was presented to the VCs.